Charm and Character are found in this bright & Cheery Colonial, which has 4BR 2.5 bath, located in a cul-de-sac in the desirable Green Valley neighborhood. This spacious home offers many amenities. When one walks up to the home there is a great covered porch to sit & relax. Once in the foyer there is ceramic tile which flows into the kitchen that has lots of natural light. The kitchen offers stainless steel appliances , a double oven for cooking large meals, pantry closet & bay window. Step down into your spacious family room with brick fireplace, built in shelves & wall length mantel. Enjoy peaceful views from either the family room through the trimmed out opening into the Sunroom or from the Sunroom itself with 2 sliding door exits. The dining room has crown molding, wainscoating, another bay window and hardwood floors. The hardwood also flow into the formal living room with crown molding and fireplace. Renovated 1/2 bath , laundry, and a 2 car garage with attic storage complete this level. Upstairs You will find all Bedrooms are generously sized with ample closet space and hardwood floors. The hall bathroom has double sinks. All bathrooms have newer toilets, faucets & flooring. The home is over 3100 sq ft. not including finished basement that has a bar and 3 separate storage areas. The expansive backyard, was designed by Gasper and is wonderful for entertaining and holding private gatherings. This lovely property also backs up to the Churchville Nature Center providing scenic views, wildlife and seclusion. 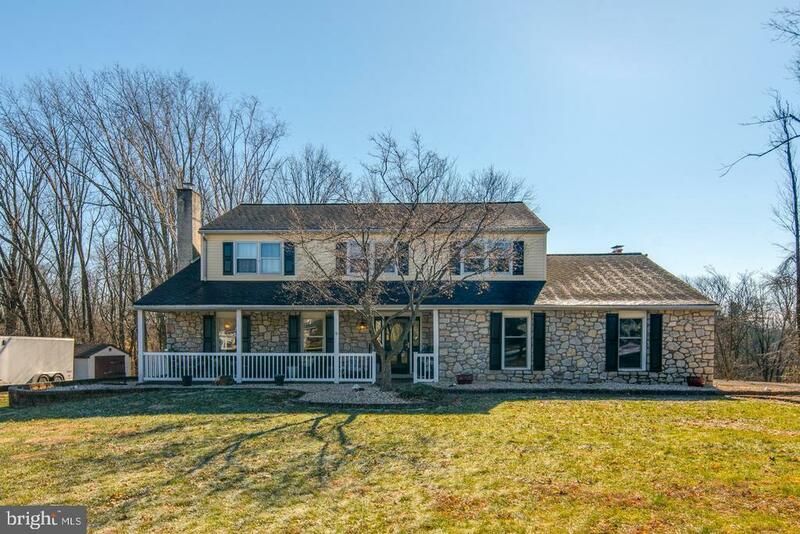 Living here in Green Valley, you are in the fantastic Council Rock School District and a few minutes from I-276, I-95 and Route 611 for easy commuting. Dont miss out, schedule you appointment to see your new home today! Home Warranty included for piece of mind.